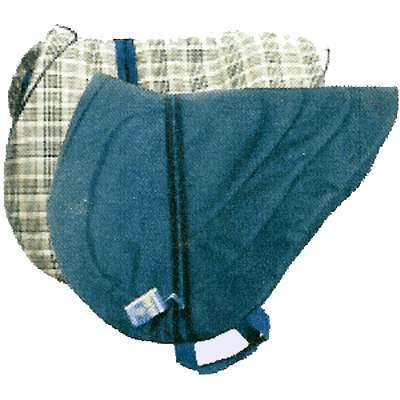 We have an extensive variety of Horse Saddle Bags and Saddle Cary Bags on sale now at economical pricing. Rest assured you will be given only superior value products here at our online Horse Tack Store. The Carry Bag presents a durable solution to carrying and protecting your saddle with a padded quilted material. The bag provides a great heavy duty zipper which opens from side to side on top for easy access. This high quality English Saddle Bag is on sale now. To carry the bag High Spirit has provided two web carry handles. These high quality Horse Saddle Bags are designed to last for numerous years to come. Available in: Horseman's Plaid/Cotton, Hunter Green/Nylon, Navy/Nylon.